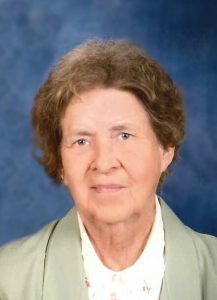 Marcella Schmid, 86, of Bellwood, died Monday, October 1, 2018, at the Butler County Healthcare Center in David City. Mass of Christian Burial Monday, October 8, 2018 10:00 A.M.
Marcy Schmid passed away peacefully, surrounded by her family, on Monday, October 1, 2018, at the Hospital in David City. Marcella Schmid was born to James and Caroline (Novak) Kouma, in Dwight on August 22, 1932. She attended Dwight area schools. Before getting married, she worked at JC Pennys in Columbus. On April 28, 1953, Marcy married Bernard Schmid in St. Joseph's Catholic Church, Bellwood. She and Bernard lived on the family farm where they raised their six children. After the children were grown, Marcy cleaned houses in Columbus until her health no longer allowed. She loved being outdoors, in the garden and caring for her flowers. She especially loved watching her family grow and spending time with her grandkids. Marcy was a member of St. Joseph's and the PCCW. 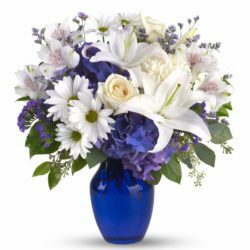 Marcy is survived by her husband, Bernard of Bellwood, daughter Nancy (Leon) Piitz, Brainard, three sons; Allan of Ulysses, Dale and Carol of David City and Gary and Laurie of Bellwood, daughter-in-law Lisa Schmid of Council Bluffs, and several grandchildren and great-grandchildren. Also surviving are two brothers; Jim (Diane) Kouma, Duncan, Ed (Trudy) Kouma of Lincoln, two sisters; Mary Ann (Jack) Koscove of Colorado Springs, Emily (George) Klein of Chadron, two sisters-in-law, LaVonne Kouma, Bellwood and Doris Kouma of Gladewater, Texas and a brother-in-law, Walt Long of Phoenix. She was preceded in death by her daughter, Carolee, two sons; infant Timothy and son Greg, two brothers, Ray and Jerome Kouma and a sister, Terri Long.